U.S. President Donald Trump said Thursday that there has been progress in talks with North Korea despite criticism and that he expects another good meeting with the North Korean leader soon. 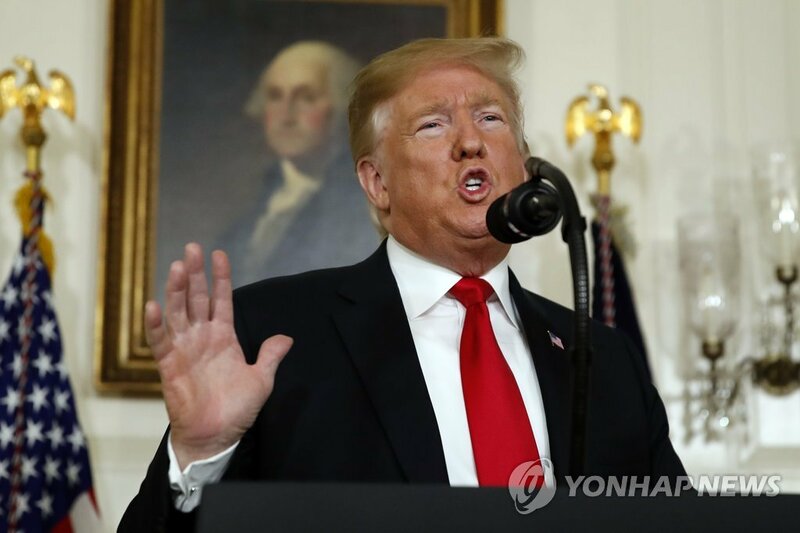 Trump said the media has been unfair by accusing him of producing few tangible results toward dismantling the North’s nuclear weapons program since his first summit with Kim Jong-un. “The Fake News Media loves saying ‘so little happened at my first summit with Kim Jong Un.’ Wrong!” the president tweeted, referring to the meeting in Singapore in June. “After 40 years of doing nothing with North Korea but being taken to the cleaners, & with a major war ready to start, in a short 15 months, relationships built, hostages & remains back home where they belong, no more Rockets or M’s being fired over Japan or anywhere else and, most importantly, no Nuclear Testing,” he said. While many acknowledge good in North Korea’s suspension of nuclear and missile tests, critics argue there is no evidence the regime is taking down its nuclear weapons program. Trump has still agreed to meet Kim for a second summit late next month, reportedly in Vietnam. Trump and Kim agreed at their first meeting to work toward complete denuclearization of the Korean Peninsula in exchange for security guarantees for Pyongyang. The two sides have wrangled over the exact terms, with North Korea demanding sanctions relief for its disarmament and the U.S. refusing to provide major concessions before denuclearization is verified. The North Korean leader dispatched an envoy, former intelligence chief Kim Yong-chol, to Washington last week to revive the stalled process, and the White House announced after his meeting with Trump that the second summit will happen near the end of February. Kim Jong-un expressed satisfaction at the results of the delegation’s visit and “great satisfaction” upon receiving another letter from Trump, the North’s Korean Central News Agency said Thursday. He also told the delegation that briefed him on the trip to make “good technical preparations” for the next summit. “He spoke highly of President Trump for expressing his unusual determination and will for the settlement of the issue with a great interest in the second DPRK-U.S. summit,” the KCNA said, referring to the North by its official name, Democratic People’s Republic of Korea. Working-level preparations for the summit are thought to have kicked off last week in Sweden. U.S. Special Representative for North Korea Stephen Biegun had his first meeting with North Korean Vice Foreign Minister Choe Son-hui on the sidelines of an international conference outside of Stockholm. The diplomatic flurry has been paralleled by a steady stream of reports pointing to North Korea’s allegedly covert missile activities. U.S. Secretary of State Mike Pompeo downplayed the suspicions on Wednesday. “The American people should understand that the United States intelligence community and our security apparatus knows full well what activities are taking place and, frankly, which ones aren’t,” he told Fox News in an interview.